For many of us, Thanksgiving is a time for food, family, and football, but if you’re short on cash, you might be focused on your finances instead of the fun! It also tends to be a time that we ask each other, and ourselves, what we’re grateful for this year. If health or family have already been taken, you might find it hard to come up with something original to say, (or anything at all, if it’s a difficult time for you) but never fear. 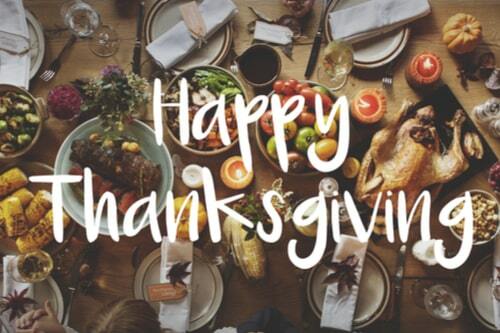 If you have your mind on your money and your money on your mind this year, here are just a few financial things to give thanks for this Thanksgiving. Everyone has to do it every once in a while, and we don’t typically appreciate it until it’s gone: yes, we’re talking about work. Maybe you didn’t get that raise or promotion. Perhaps you’re not at the height of your career. You may not even be working in your field of study. But if you’re working and earning a steady paycheck, that’s certainly something to be thankful for this year – you can always go back to complaining on Monday. This one might sound a little counterintuitive, but if you’re paying student loans, you have one more thing to be thankful for this Thanksgiving, and that is the gift of education. It may be a tough sell, but it’s a reminder that you put in your time and got the grades you needed, and every payment brings you another day closer to a better credit score. A little Thanksgiving gratefulness can turn a negative into a positive and double it with the right attitude! Even if you’re nowhere near retirement age, thinking about your future is not only a fun way to pass the time, but also an excellent motivator! Whether you haven’t started saving for retirement yet or you’re counting the days, making your retirement dreams come true starts with having them in the first place. Asking for retirement advice is a great dinner conversation and starting a dialogue can help you not only develop your own retirement game-plan out loud, but also get your family and friends in on it, too. Who knows? They might know a path that will get you to your ideal retirement faster than you ever thought possible. Do you have a little extra cash stashed at the bank for a rainy day? A lot of people don’t have that luxury, so if you have some extra money, that’s something to be grateful for this Thanksgiving Day! According to Bankrate.com, while about 22% of Americans do have enough money to get them by for about 3 months or so in case they experience a sudden loss of income, 23% have no savings whatsoever. Just let that sink in for a moment. If you’re one of the approximately 1 in 2 that don’t have enough saved up to get them by, installment loans can help in a pinch. But if you do have some savings already, or if you have a little more money in the bank than you did the year before, you definitely have a lot to be thankful for. It can be hard to live without in this day and age, and it may present problems of its own, but one thing we can all be thankful for this year is technology and all the good we can do with it. Technology can help you check your credit score, find a house to rent or buy, and even help you create a budget you can stick to in order to meet your financial goals. You can even do your banking completely online and find offers on the hottest selling items at the click of a button. But by far the best thing about technology is its ability to bring people together. This Thanksgiving, if there are people you would love to be there with you, find a way to wish them a Happy Thanksgiving. 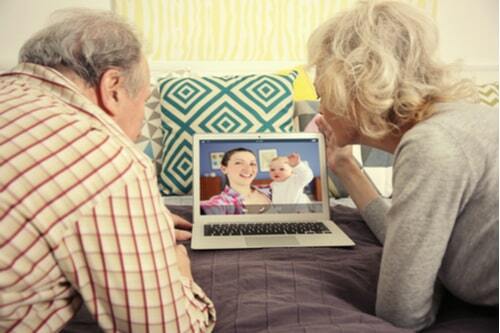 Facetime your fiancée, instant message your mom, tweet your third-cousin! 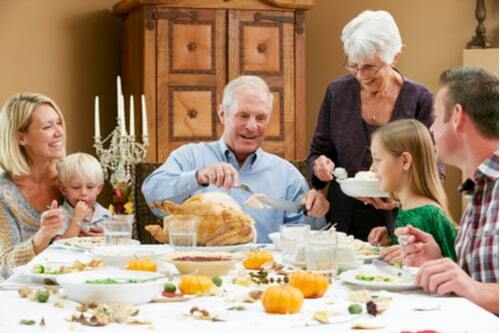 However you use technology to reach out, you’ll give someone close to you a much-needed reminder that they have one more thing to be grateful for this Thanksgiving.